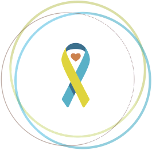 On October 18th, the Down Syndrome Association of Atlanta will host the 2015 Atlanta Buddy Walk®, their annual day of celebration in Centennial Park. We had the pleasure of chatting with two of DSAA’s Buddy Walk® team captains, Tachi Hahn (mom to Alyssa, an almost five year old who enjoys dancing, reading, and singing) and Clair Wallace (mom to Nate, almost 18 months old, who loves music and socializing with others around him), about what this event means to their families. 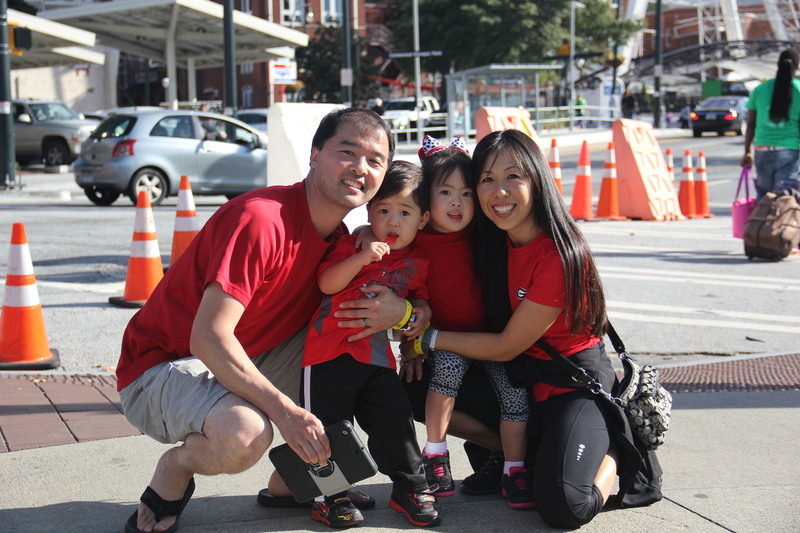 Both Tachi and Clair became involved with the Atlanta Buddy Walk® after their children were born. The walk illustrates the strong network that both families appreciate, as so many of their family and friends rally to help fundraise and then attend the event to join in the celebration. Clair spoke of the great experience and the realization of how many people come together to support the Down syndrome community. Tachi referred to the walk as “a team bonding experience”, and described how people feel an emotional connection to supporting individuals with Down syndrome via fundraising & the walk. Both moms talked about the celebratory atmosphere, and the overwhelming show of love and acceptance demonstrated by those present. To fundraise for DSAA, Tachi has hosted yard sales, sold hair bows, and leveraged social media to request donations from friends near and far. She now has a part time job, from which she donates part of her earnings back to her daughter’s Buddy Walk® team. Clair’s family has successfully gathered donations through a grassroots email campaign, asking her family to share Nate’s story with everyone on their contact list and guide donors to their Stride fundraising page. Both moms have worked tirelessly to raise money, and their hard work has paid off: both Alyssa and Nate’s teams were at the top of the leader board last year! Knowing that their fundraising efforts would impact the programming offered by DSAA was a definite incentive to get involved. After Alyssa and Nate were born, both moms turned to DSAA for guidance and found many resources that helped them navigate the beginning of their Down syndrome journey. Tachi says that these connections are “helping to build Alyssa’s future”, and that by fundraising now, they are “paying it forward” so that families who will connect to DSAA down the road can enjoy the same valuable resources. The funds raised will also support advocacy efforts and provide networking opportunities, which are resources that will continue to assist Alyssa and Nate as they grow up. 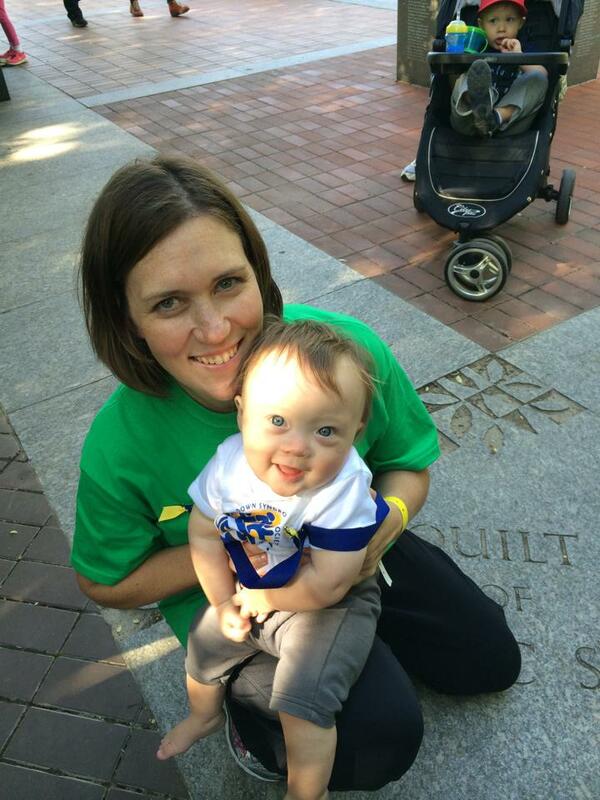 For anyone who hasn’t yet experienced the Atlanta Buddy Walk® event, both moms agree that it is a fun, family event. Clair says that “everyone talks the same language, is on the same page”, and that it’s a “great opportunity for families”. To show your support for Tachi and Alyssa’s team (Team EXTRAordinary Friends) or Clair and Nate’s team (Team Natey Boy), please visit the Atlanta’s Stride fundraising site at http://www.ds-stride.org/atlantabuddywalk. To learn more about the Down Syndrome Association of Atlanta, please visit www.dsaaatl.org.